The following list is a continuation of these posts: PART 1 and PART 2. 40. Shoben Kozo of Iya Valley (祖谷渓の小便小僧) – Located in a difficult to access part of the 200m deep Iya valley, this sculpture was created by Kawasaki Yoshiyuki in 1968. 41. Zenigata Sunae (銭形砂絵) – At 122 m by 90 m with a circumference of 345 m, this huge sand sculpture of a coin can be viewed from a nearby observation deck. Legend has it that whoever sees the shape of the coin would have financial worries in the future. 42. Besshi Coper Mine (別子銅山) – This copper mine situated in the foothills of Niihama City in Ehime Prefecture produced 700,000 tonnes of copper in 280 years. It is said to have contributed to the modernization of Japan. Nestled deep in the mountains, it is sometimes called the Machu Picchu of the East. 43. Shimanto River’s ‘Sinking’ Bridges (四万十川の沈下橋 – shimanto-gawa no chinkabashi) – There are 47 remaining chinkabashi in the tributaries and main stream of the Shimanto river. These bridges are designed to be submersible during floods and high river water levels and hence have no railings or parapets. Traditional fishing and natural landscape are among the attractions around the river. 44. Space World (スペースワールド) – The first space-themed theme park in the world, Space World features thrilling space-related rides, shops and restaurants. One of the bigger attractions is the Space Museum which even has a “moon rock” on display. 45. Yoshinogari Historical Park (吉野ヶ里歴史公園 – yoshinogari-rekishikoen) – The Yoshinogari prehistoric ruins is largest Yayoi period ruins remaining in Japan. Reconstruction of 3 century B.C. 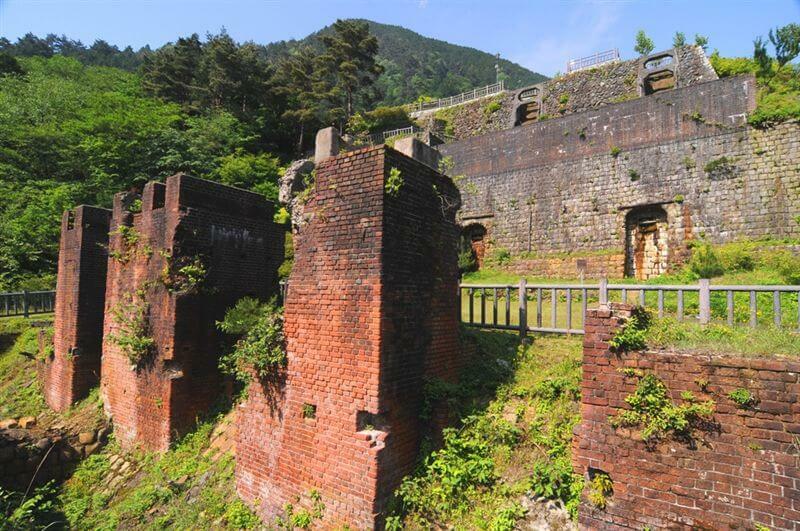 dwellings and defense towers can be found inside tThe Yoshinogari Historical Park. 46. Huis Ten Bosch (ハウステンボス) – This unique theme park recreates the Netherlands with Dutch-style buildings. An attraction throughout the year with tulips festival in spring, rose festivals in summer and autumn and light festivals in winter. Dutch-style museums, villas, hotels, restaurants and shops can also be found in the theme park. 47. Ruins of Nokubi Church (旧野首教会) – A Christian church in Nozakijima of the Goto Islands. The church was abandoned when the island became deserted and became a designated cultural property in 1989. Tour of the interior can be done if an application is made to Ojika Town Hall.